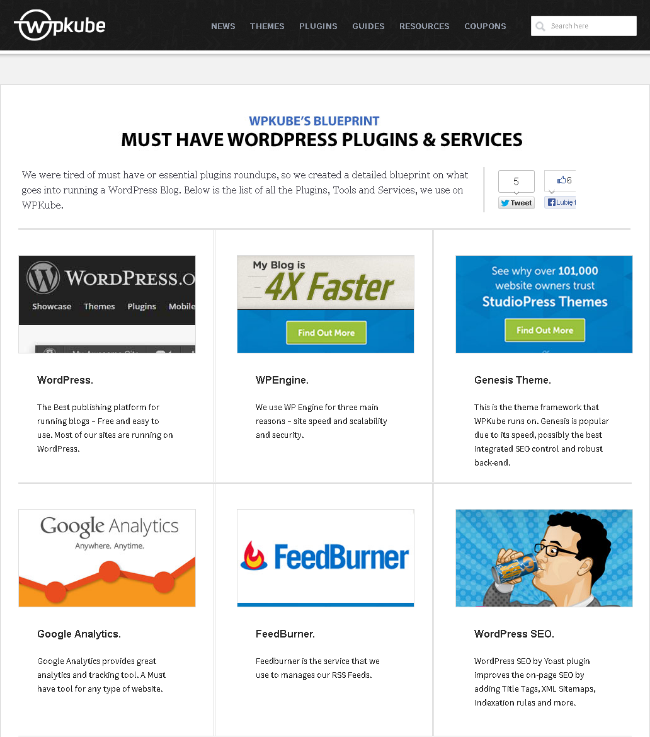 If you're sick of creating must have plugins list or answering hundreds questions about plugins used on your website, you must create blueprints page. 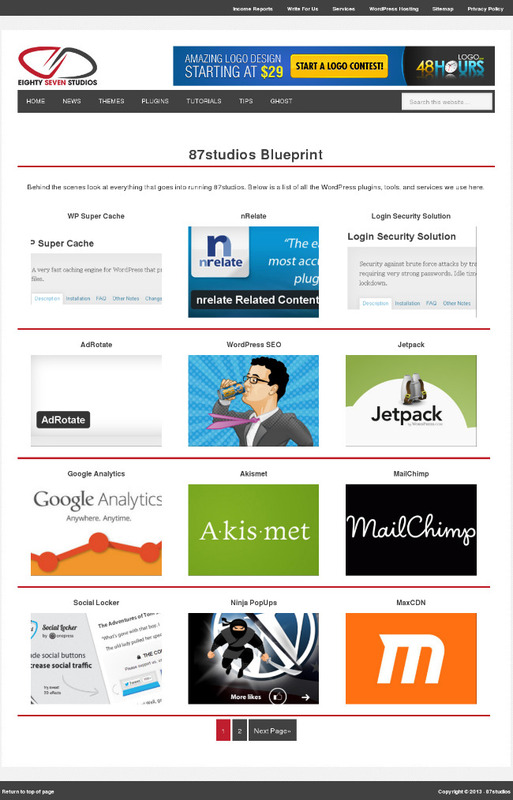 Blueprint page is like an x-ray photo of your blog. It's also quite good page to promote your favorite products. Check those two examples of well designed blueprint page. All right then, let's do some coding. Genesis has built-in support to create an archive for custom post types, complete with some really cool archive settings. With a few extra parameters added into code, you can easily turn on support for archive settings when registering custom post type. In this case I decided to make 'toolbox' CPT. You need to paste this code at the end of your theme functions.php file. Note: If you want to modify number of displayed tools, add this code after Toolbox Code in functions.php, just change the number in this line ( 'posts_per_page', '12'. 1. Connect to your server using any FTP program you like and navigate to main theme folder. 2. Create archive-toolbox.php file and paste following code. This code creates the toolbox archive page and will display the title and featured image after each single toolbox page in a grid layout. In the Dashboard select Toolbox > Archive Settings. Note: The Toolbox by default has full width layout but you can change it here if you want. That’s it. You’re done. You can now start filling up your toolbox page. Here is a preview of ours. their is very less amount of Genesis helpful article. this is one of this. keep sharing. Yes it is pretty boring and time taking stuff. Unfortunately am little bit nervous and some advice will be appreciated. Am wondering if i can contact you personally regarding this issue to make thing easy? Many thanks Kris Hoja. Email has been dispatched to you. Kindly get back to me asap. That's exactly what I was looking for Genesis. Thanks Kris for such a detailed article. Stay tuned for another great tutorial for Genesis related to this one, but with more advanced features. Great article - very helpful! it was quite easy to adapt Brian Gardner’s code, but he removed original code from his blog. Anyway, this code can be simply adapt to create portfolio, our team, themes page etc.